The 14th Annual California Maritime Leadership Symposium, slated to take place February 19-20 at the Sacramento Convention Center, attracts key members from California’s State Legislature and representatives from California’s ports and the maritime industry. 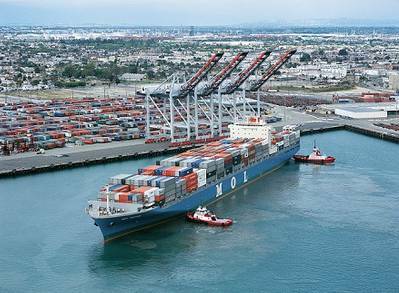 The symposium aims to encourage productive dialogue among maritime industry leaders and communicate port needs to California decision makers. The symposium is hosted by a broad-based coalition of the maritime industry, headed up by the California Association of Port Authorities, California Marine Affairs and Navigation Conference, California Marine and Intermodal Transportation System Advisory Council, California Maritime Academy, Harbor Association of Industry and Commerce, and the Propeller Club of Los Angeles - Long Beach. Organizers claim the event to be the only comprehensive forum for port executives, commissioners and other stakeholders across the state to seek resolution to the growing challenges the Maritime Transportation System faces. Fran Inman, Senior Vice President, Majestic Realty Co.
Daniel Smith, Principal, The Tioga Group, Inc. Registration is open online at http://www.eventbrite.com/e/2014-california-maritime-leadership-symposium-tickets-5602172248.